Get inspired and create an education infographic quickly with built-in professionally designed k-12 education elements for infographic design. 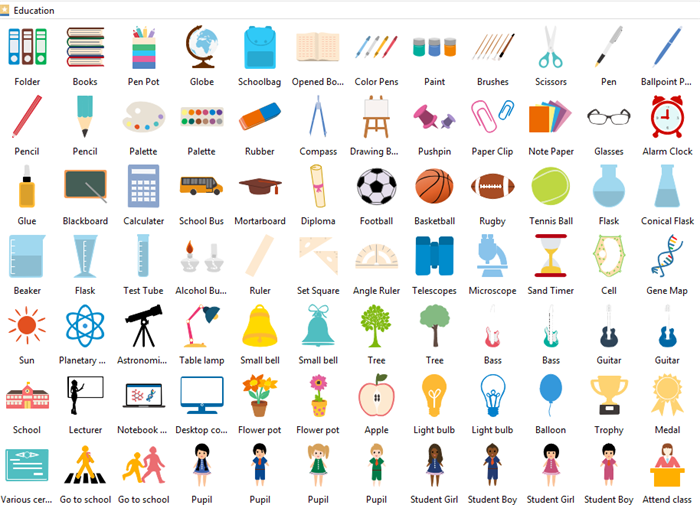 Users can find a great deal of well-designed K-12 education elements in the left libraries of Edraw infographich maker. All the elements provided are easy to edit according to different needs. And we are still keeping creating new infographic elements. 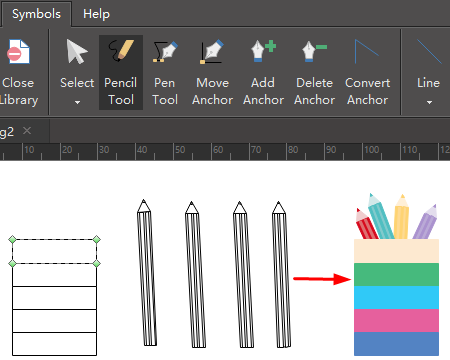 Edraw is such a humanized program that it also provides a drawing toolkit in case there are some users want to create their own education elements. Just click Symbol under Home page and choose a proper tool to start designing. See below education infographic and learn how to apply education elements for infographic design more skilfully. Want to use the above education elements in your infographics? Download Edraw Infographic Maker! It includes a large variety of education shapes which are easy to modify. Design a wonderful infographic is just a few click away. Try it now!